Smoking Joke(r). from the "glog" sejak degenerate. Wallpaper and background images in the The Joker club tagged: the joker the dark knight heath ledger joke smoking cigarette painting. 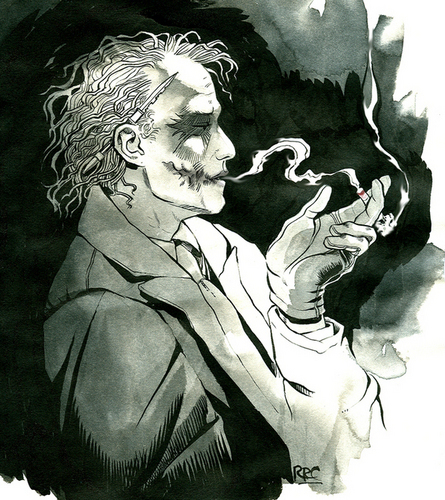 This The Joker fan art contains anime, komik, manga, kartun, and buku komik. Rare foto of the Joker in a Cage!